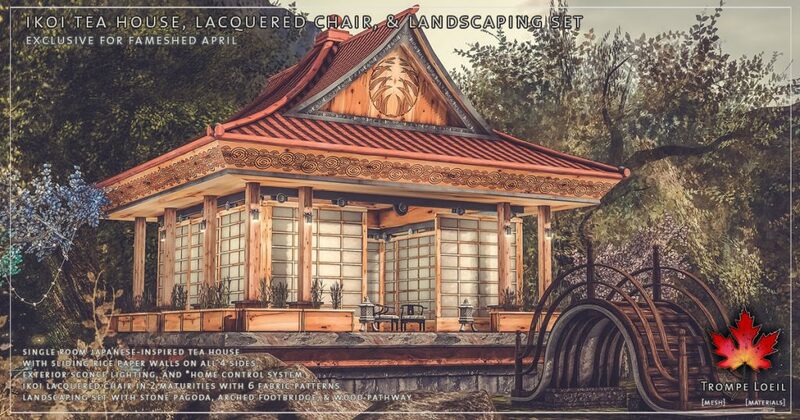 Serenity awaits! 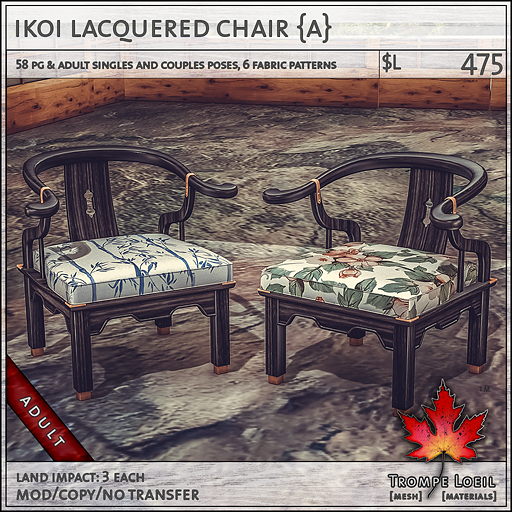 Trompe Loeil’s new Ikoi Tea House, Lacquered Chair and Landscaping Set bring timeless grace and style to the April round of FaMESHed! 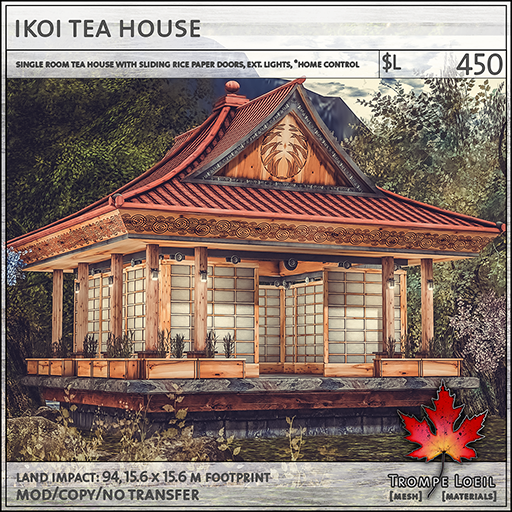 The Ikoi Tea House is a single room build with sliding rice paper walls on all four sides – create your own flow, or a private retreat. 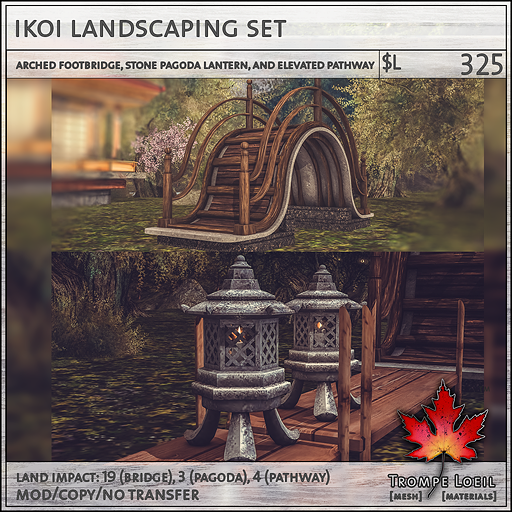 Exterior sconces and our *home control system complete the look. Add in our Ikoi Lacquered Chair in glossy black wood with 6 fabric options and your choice of maturities, and the matching Ikoi Landscaping set with magestic arched footbridge, raised wood and bamboo pathway segment, and stone pagoda lantern, and you have a beautiful Eastern retreat at your fingertips! 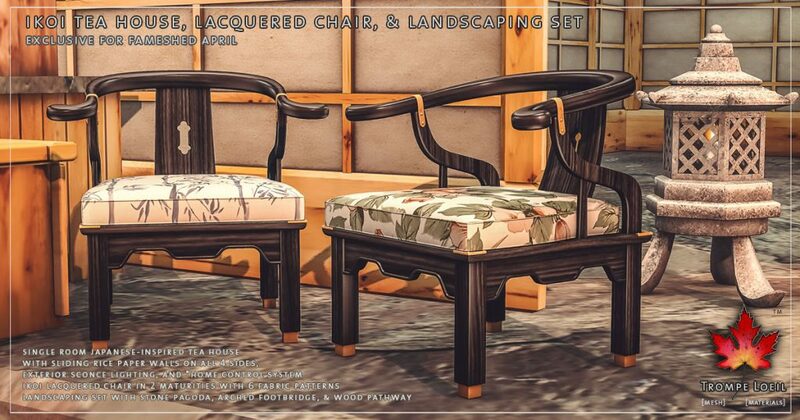 Check out the on-site demo at the April round of FaMESHed!